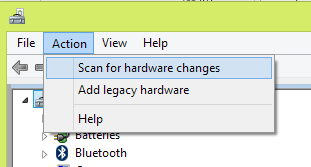 Asus Zenbook UX31A (or any Intel HD4000/HDMI graphics) fix for no HDMI output to an external monitor in Windows 8 (should work for Windows 7) | Really useful stuff that I bump into….. Thanks for this post Woody. Worked like a charm and saved me hours of trying to fix. With the external display connected, I deleted the display driver and rebooted. As soon as the machine restarted both the Ultrabook display and the external monitor worked. The external monitor is connected via a micro-HDMI adapter to a normal HDMI cable (Type A to A). 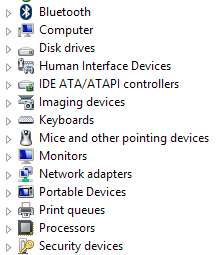 I forgot to note the display adapter before the procedure but the version after appears as: Intel(R) HD Graphics Family Version: 10.18.10.3308 Dated: 16/09/2013. A big thanks for your feedback! Good to know that I was able to be of help. Thank you! Spent hours trying to fix this and this was the easiest solution. You are very welcome. This blog may be very minimal – but that’s because I try to cover stuff that you probably don’t get anywhere else, and I am sure that this tip is one of them. Thank you so much, I was pulling my hair out!! Good fix! You are most welcome – and a big thanks for confirming that this worked for you! Would this still work for me even though mine is not Intel HD4000 graphics? 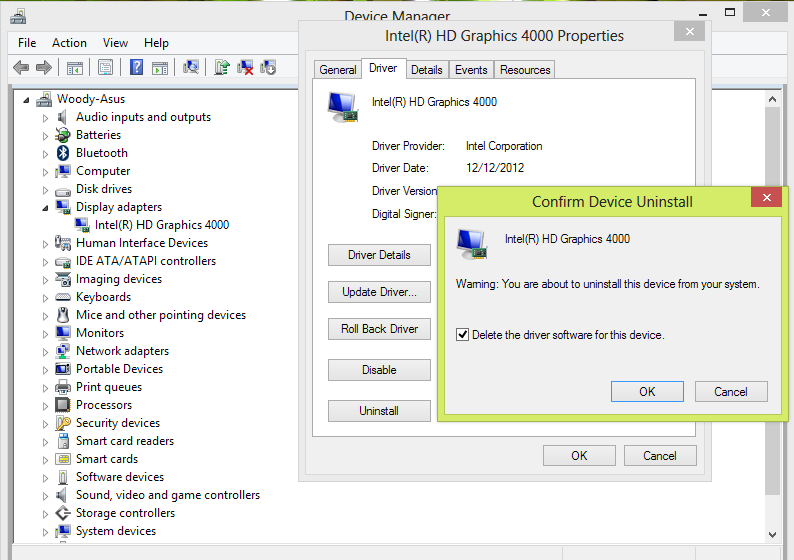 Mine says Intel(R) HD Graphics 515 and I’m afraid to delete it. I really can’t say, I am afraid. The reason is, my tip is absolutely specific to HD4000 graphics on Windows 8. On Windows 10 (last day for you to upgrade for free!) 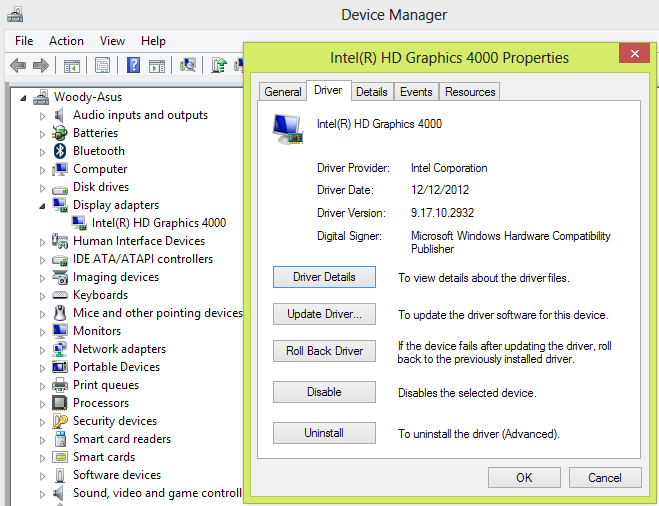 this is not a problem, as Intel must have put the correct graphics driver into Windows Update for Windows 10.